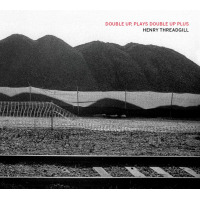 No artist manages to marry compositional specificity and independent thought to the degree that Henry Threadgill does. And while his singular vision(s) with groups like Air and Very Very Circus have already earned him a place in the history of this music, when all is said and done, his work with Zooid may be his most important contribution to the ever-evolving art form of jazz. 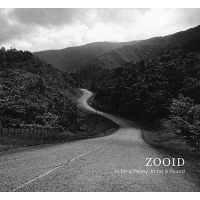 On In For A Penny, In For A Pound, Zooid delivers what Threadgill describes as an "epic," programmed with an introduction, two main movements, a mid-work "exordium," and two more main movements. 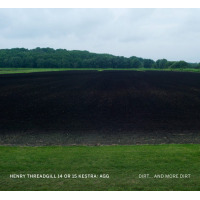 As always, Threadgill sets boundaries and creates rules and parameters, assigning specific intervallic cells or movements to each player, but much is also left to chance. This music is built around an exploration of combinatorial possibilities, unconventional counterpoint and polyphony, and a blurring of the line(s) between background and foreground placement(s). Episodes of perpetual motion lead to more intimate conversational pit stops or solo breaks, rough-and-tumble romps seamlessly segue into enlightening areas, and rhythmically-focused group dialogue breaks off into vague corners. Zooid creates musical jigsaw puzzles, but not in the way one might think. Forget the conventional cuts and shapes. Instead, imagine a puzzle with pieces cut with sharp angles and rounded curvatures. Now imagine that the puzzle was cut in a way that allows for multiple possibilities of assembly. The outcome will always result in the creation of a solid whole, but the unpredictability of the exact placement of the pieces and the look of the end-product will always differ to some degree. There's growth and progress in every attempt at assembly, and that's exactly what takes place when Zooid performs Threadgill's music. While In For A Penny, In For A Pound was designed to be viewed as a single work, each and every movement has plenty to offer. Take "Ceroepic (For Drums And Percussion)," for example. This piece-within-a-piece is overflowing with creative gestures and interplay. Four minutes of madcap movement culminate with Threadgill's alto saxophone and Liberty Ellman's guitar delivering a unison statement. And then there's silence. But the silence doesn't last. From there, there's more space and less rhythmic jostling, as Elliot Humberto Kavee's percussive bells underscore some seriously searching string work. The rhythmic flow soon picks up again, as Ellman takes center stage, but that doesn't last either. A hallucinatory episode between Threadgill and low brass man Jose Davila, start-stop lines, a tumbling tom-and-cymbals solo, warped sounds and tumultuous passages, and even a droning marriage between Threadgill's flute and Davila's tuba all follow. And that's just a brief and partial rundown of the piece. In just under twenty minutes, Zooid creates an entire world that continually offers surprises. It may be tempting to dissect each and every movement in the above fashion, but that misses the point and the bigger picture: it's a picture that's painted with intellectual curiosity, a high regard for individual freedom, and a deep passion for the extension and growth of communicative language, musical speech, and form. 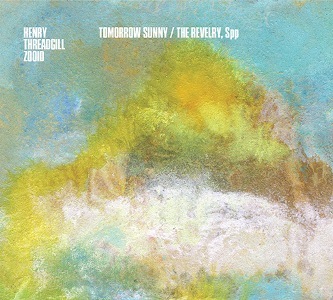 Threadgill's individualism and the brilliance of Zooid both shine through on this truly epic work. Track Listing: In For A Penny, In For A Pound (Opening); Ceroepic (For Drums And Percussion); Dosepic (For Cello); Off The Prompt Box (Exordium); Tresepic (For Trombone And Tuba); Unoepic (For Guitar). 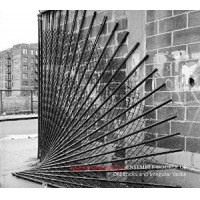 Personnel: Henry Threadgill: alto saxophone, flute, bass flute; Jose Davila: trombone, tuba; Liberty Ellman: guitar; Christopher Hoffman: violoncello; Elliot Humberto Kavee: drums, percussion.